As the Father of the Bride, your daughter’s upcoming marriage is both a time of joy and a time of sadness. You rejoice in the fact that she has grown into a beautiful woman and is embarking on a life with her new husband. But you still remember the time when she was growing up. And if she is your only child, you’ll be particularly close to her. That’s why, as Father of the Bride, you play a special role at the wedding reception in honoring your daughter with a wedding speech and toast on her special day. Just like other wedding speakers, you must first assemble your speech material. Your task is much simpler though, because your material is readily at hand — the experiences you have enjoyed as you’ve seen your daughter mature and blossom into a woman. • You might talk about a particular memory — an anecdote about your daughter when she was growing up — that is amusing to the wedding guests. • You might mention the special qualities that make her a particularly good “catch” and point out how lucky the groom is to have her as his wife. • You might comment on how radiant she looks, how proud you and your wife are of her, and how she has grown into a wonderful young woman. • You might explain to the wedding guests why your daughter is such a special person to you. For example, she may have overcome hardships, she may have excelled at her schooling, or she may have risen rapidly in her chosen career. She’ll have her own unique attributes that you’ll take pride in talking about. As a father you will probably have some advice or words of wisdom to leave with the bride and groom. Take the time to do some research for material — a saying or a proverb, for example — that is appropriate…or draw upon your own experiences with marriage or life. Your wedding speech doesn’t have to be completely serious though. It can be sentimental and emotional. It can share poignant moments that you cherish. 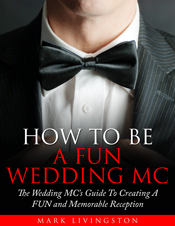 Or it can include a joke about married life….or a humorous story that illustrates what the groom is getting himself into. Like other wedding speeches, yours will have an introduction, a beginning, the main body, and a closing that leads into the toast to the bride and groom. Begin your speech by introducing yourself since there may be guests — particularly on the groom’s side of the family — who don’t know you. Then welcome the wedding guests and thank those who have helped in planning and organizing the pre-wedding and wedding day events. The body of your speech will be about the “theme” you have selected from the material you prepared beforehand. Your wedding speech wouldn’t be complete without including the groom and his family. You might want to talk about how you’ve gotten to know the groom and formally welcome him into your family. And you might also welcome the groom’s parents and tell them how you look forward to strengthening your friendship with them. Most of all, you will want to end your speech with a toast to the bride and groom’s happiness. Unless you’re an accomplished speaker, “winging” your speech can have disastrous effects as nerves take over. Take time to rehearse your speech and fine tune it so it flows easily and naturally. During your practice sessions, notice any particular habits — jangling of coins or keys in your pocket, moving around, and making unnecessary gestures — that others will find distracting. Your speech should be no longer than 5 minutes — maximum — otherwise you run the risk of losing your audience’s attention. While it isn’t necessary to memorize all of your speech, it is suggested that you memorize your opening and closing statements as well as the toast you’ll be making to the bride and groom. This will increase your confidence particularly in the beginning when you will be nervous. 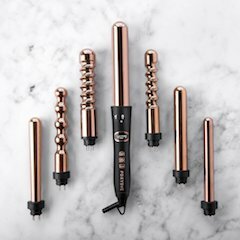 Plus, it will allow for a smooth transition from the speech to the toast when you ask the wedding guests to rise and join you in tribute to the newlyweds. The Father of the Bride wedding speech is especially important to the bride. So take the time to thoroughly prepare a Father of the Bride tribute that she’ll remember for years to come. 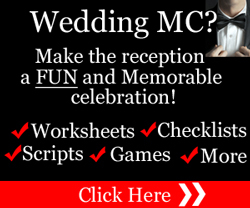 Not sure what to include in your wedding speech? 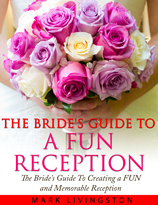 Get our FREE Special Report, The Father of the Bride’s Wedding Speech Guide. PLUS…2 talents you might have that you can use in your wedding speech for an unforgettable presentation. 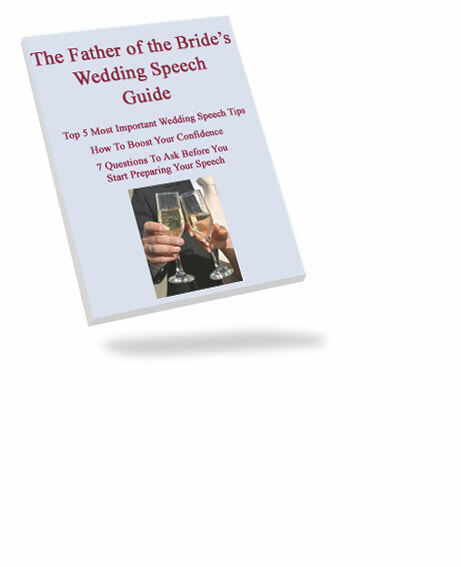 Get The Father of the Bride’s Wedding Speech Guide right now (no sign up required).